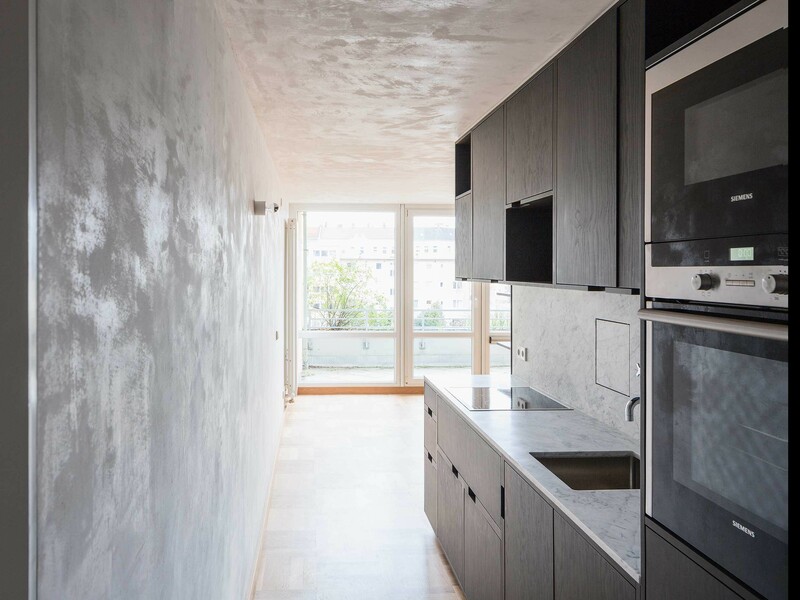 The project consisted of the refurbishment of an apartment in the Neukölln borough of Berlin. 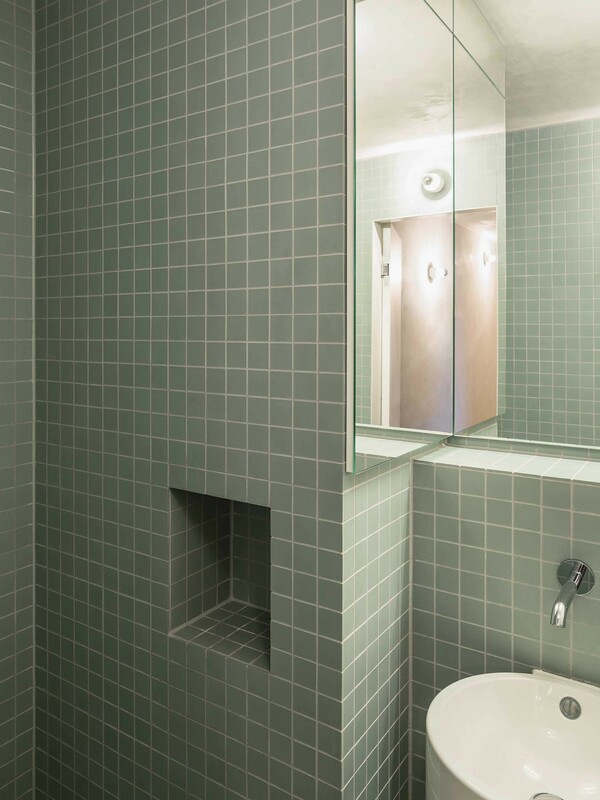 The apartment is in a townhouse built in 1980 with a view of the courtyard. 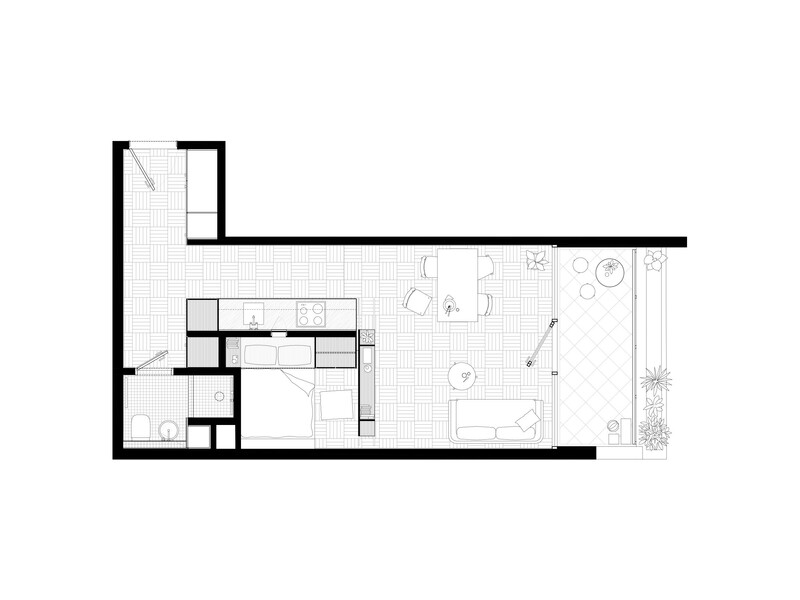 The sole window covers the whole width and height of this side of the apartment and provides light from the south and west. The window accesses a spacious balcony. 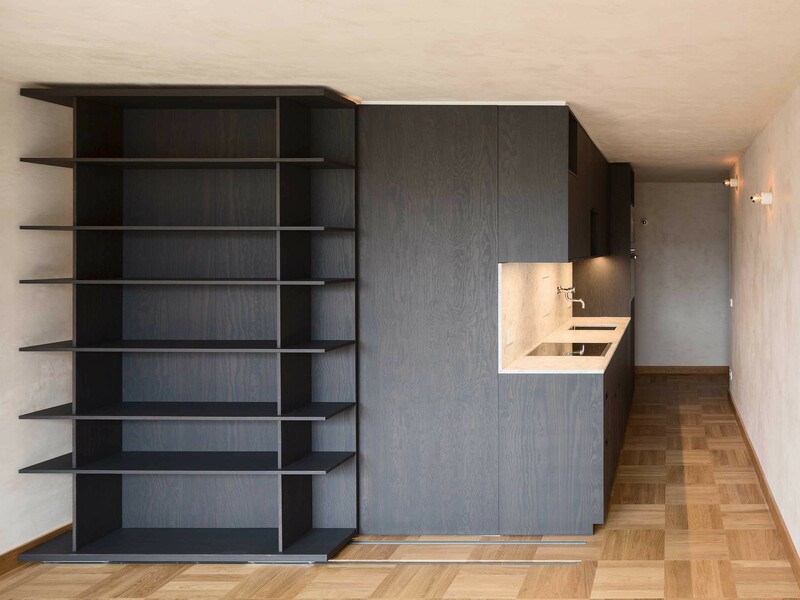 The client’s programme was ambitious and two of the requirements were especially challenging in such a small apartment: to have a normal kitchen for cooking comfortably with natural light, and to be able to hide the bed or sleeping space during the day. 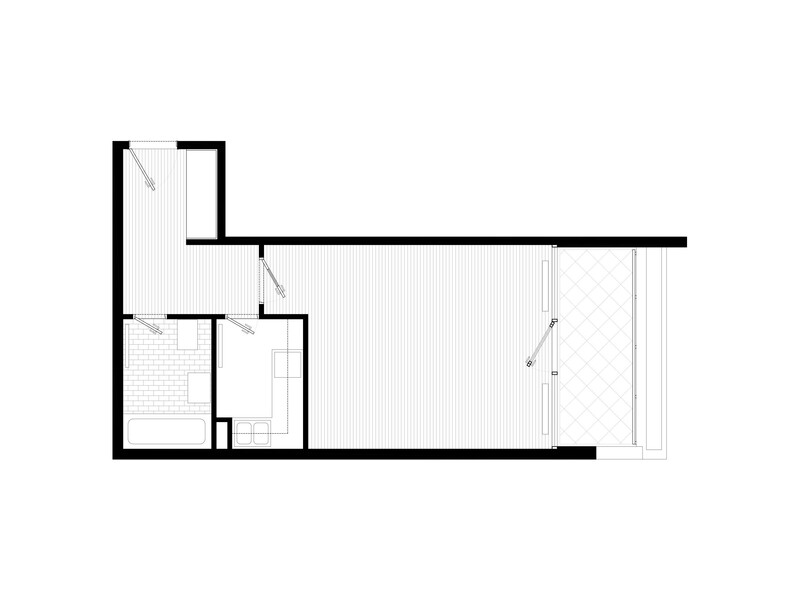 By reducing the entrance area and placing the kitchen in the wide “hallway” it was possible to use the living area and some additional space to create a small bedroom that can be hidden using a movable shelf. 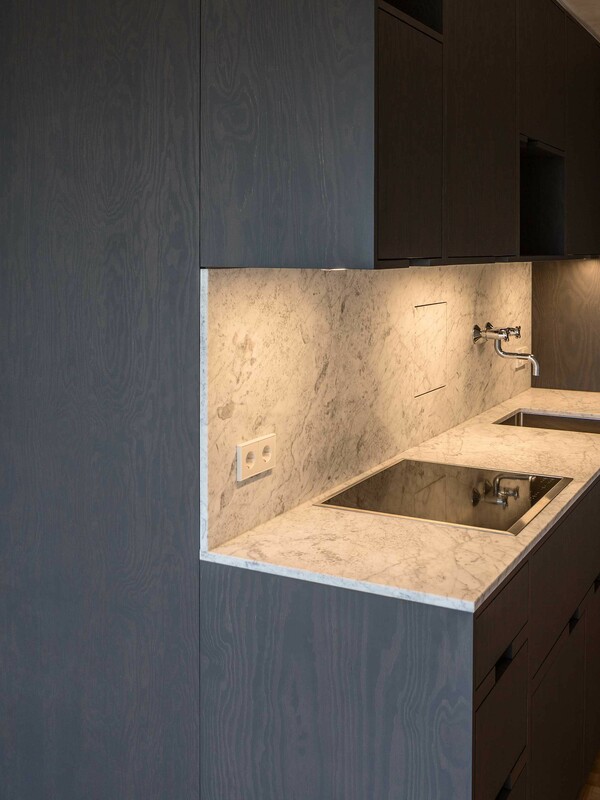 In terms of the materials: a rough surface of unpainted render was used for walls and ceiling and oak was used for the floor. 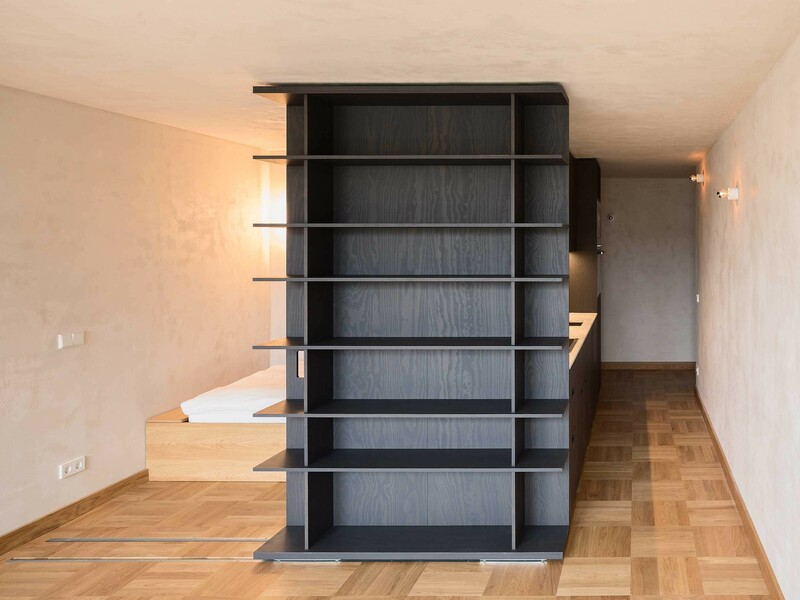 Located in the middle of the space, a delicate piece of multifunctional furniture in dark grey plywood simultaneously meets all the apartment’s needs: a kitchen on one side and closets, shelves and the bedroom on the other. 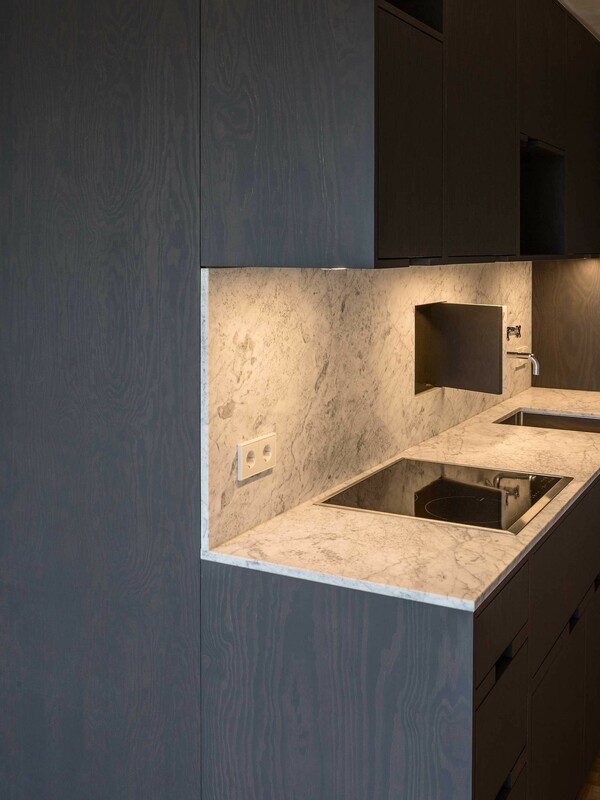 The Carrara marble countertops in the kitchen add luminosity and are an invitation to enjoy the time spent cooking. 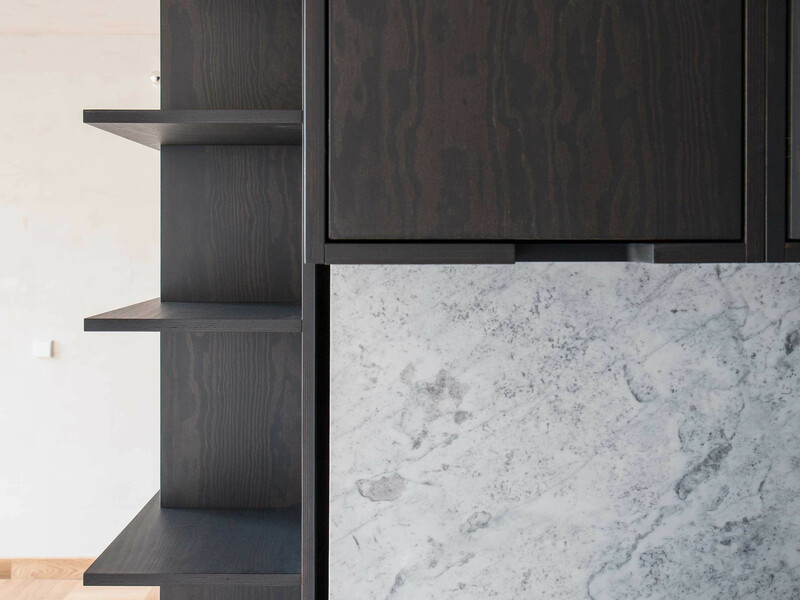 A fun detail: a small – almost secret – window between the kitchen and the bed, for the day’s first cup of coffee.